Review of Just Buy Live Application - A Real Boon for the Retailers and Sellers! The world's first e-distributor is here in the form of Just Buy Live. Let us discuss more about the advantages retailers get by using the Just Buy Live portal or mobile application to buy products in bulk and at wholesale prices. 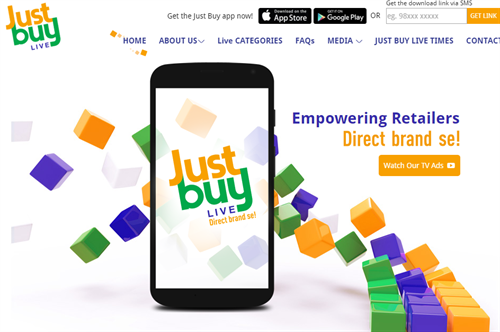 Kindly read further to know the features of the Just Buy Live B2B application, that helps connecting brands to retailers. Online shopping has caught up in a big way with Indian customers and it is evident across many economic segments in the country. While there are thousands of B2C portals for buying myriads of staffs and services, the same cannot be said of B2B ones. Will not it be good to make use of a reliable and versatile B2B service provider for catering to various industries? This is exactly what Just Buy Live aims to address. This is one of its kind E-Distributor that caters to retailers and business owners (store or shop owners) of various kinds in India. This popular B2B app serves as a connector between various leading brands in India and numerous retailers and business owners. In this article, let us study the ways in which Just Buy mobile app proves useful to both retailers as well as brand owners or sellers. This is not the typical e-commerce platform selling directly to customers. However, it is an innovative B2B platform that proves useful even to end consumers as shopkeepers in every corner of India can buy quality products from brands and businesses, at extremely affordable rates. And the best part is, Just Buy Live app for smartphones and tablets, can be accessed right from the fingertips of your smart devices. Nearly any retailer, whether a mall or a small shop, can benefit by availing service of this unique B2B service provider. The retailers get quick access to products of major brands across numerous categories through this platform. The service is offered though a mobile app and so retailers can access the service anywhere and anytime, minus hassles. As it is, retailers do not have the scope or time to use fully fledged PC websites in Indian market. The Android app has small install size and its fluid and user friendly interface makes things simplified and convenient for users. Apart from the diversity of brands and their products, retailers can also avail the promotions and schemes offered by those brands. They get all products delivered straight to their shops at a desired time. Retailers can also opt for product delivery at their go downs, warehouses and shops as per needs. The company has a robust logistics chain to cater to client needs. The retailer can avail credit for working capital needs using Just Pay Credit. There is 'Udhaar' – a structured credit mechanism meant for offering working capital to the small retailers. It also helps diminish their dependence on suppliers and distributors to a large extent. It does not involve keeping any collateral for the credit or extensive paperwork as well. This popular B2B app makes payment processing simple and flexible for the retailer clients. After registration, users can make payments using a number of means including internet banking, credit and debit cards and Cash on Delivery. They can also opt for card on delivery- which ensures added flexibility. The company covers 11 categories of products overall. It sells products of reputed Indian and MNC brands including ITC, Hindustan Unilever, Dabur, PepsiCo, Sony and many more. Retailers like mobile stores, chemists, electronic shops and others can use this B2B service and avail the conveniences. How to Register on Just Buy Live App and Start Using Their B2B Service? Using Just Buy Live is as simple as it can be! Users need to download the app from Google Play Store and Apple App store, as per their needs and device type. The Android version of Just Buy Mobile App can be downloaded and installed on devices running on Android OS v 4.1 and later versions. The iOS version of this app runs on devices like iPod touch, iPad and iPhone. It is compatible with devices running iOS 8.0 or subsequent versions. Using the apps should not be tedious for retailers but they can always refer to a video guide available on the Just Buy Live company website, for step by step instructions. Retailers simply need download the app for free and get registered. Once the registration is done, the retailer can start purchasing stock of required products right away! Post registration, retailers can apply for the credit facilities right from the app. Within 2 to 3 working days, they will receive notification of their credit eligibility along with the amount. The hurdles like minimum buying limit and sign-up fees are nonexistent with this app. Getting started with this unique and flexible online B2B service is simple. However, the retailers and brands wiling to avail this B2B service may have certain queries. Brands having any query regarding getting listed at the platform can get in touch with the Just Buy Live team. They can send an email to brands@justbuylive.com. Retailers can send their queries through email at retailer@justbuylive.com. They can also call the number 1800 2660289 toll free. The brand management team will get back ASAP in all cases. Just Buy Live is run by a core team comprising of veterans in retail, logistics and management sectors. The venture is an initiative of Just Buy Live Enterprise Pvt Ltd based in Mumbai. That explains why the company adheres to adequate safety measures and regulations for customers. This service connecting brands to retailers, institutions and bulk buyers involves necessary verifications and credibility assessment. Once the validity of a retailer's business is complete, the pricing and functionary of the app becomes available. The proofs include documents like Service Tax, Trade Lic, Excise Lic and Shops and Establishment Lic etc. Of late, Just Buy Live has raised INR 136 crore through Series A funding obtained from Alpha Capital. It has plans to utilize this fund to enhance operations and expand customer base across the country. While the retailers can use the mobile app, the company is in the process of setting up a website for large corporate customers. As of now the company is functioning in 15 major cities. It has plans to spread operations to Tier II and II cities along with metros in India. Hope the above features of Just Buy application for mobile devices help you to understand the B2B services of this online platform. This has already become famous and you can view the Just Buy Live tv ads at prime time on Indian TV channels like Star Plus, SAB tv, Star Sports, and so on. The thing that works in favour of this e-distributor app is that it is one of its kind, and does not face any competition yet. In today's e-commerce world, this has really been a boon for the "Aam Dukaandar" or the corner side Paanwala. The B2B approach of the app is indeed a saving grace for the brick and mortar shopkeepers.